I store my epubs/pdf in a sync local folder (using google drive). So when I click on the pdf it's opened in adobe (acrobat pro). C:\GDrive\Library\book.epub : The epub is opened. 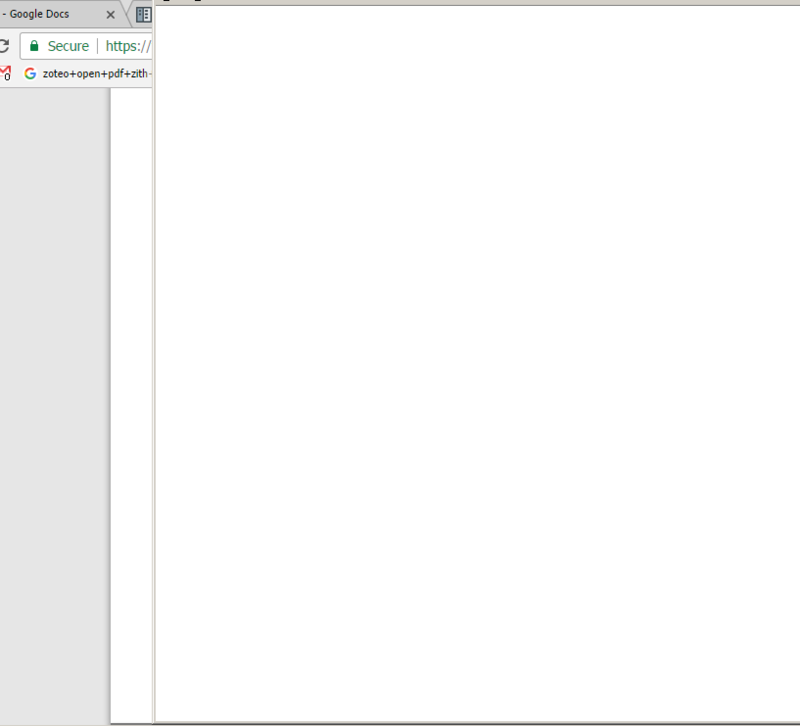 But it also open a big zotero blank windows which stays, even after closing the epub app. 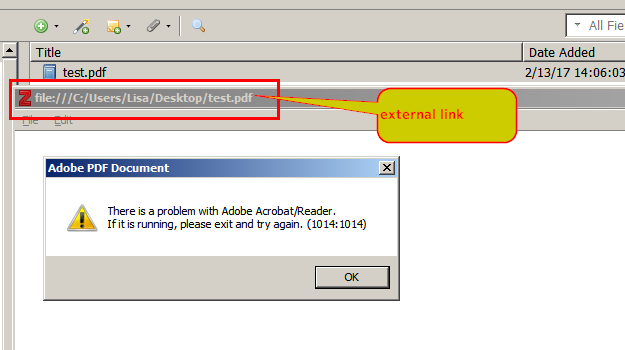 There is a problem with Adobe Acrobat/Reader. The white (and sometime black) blank windows is bigger than my screen so I need to move it to see the top of it and to be able to close it . I cannot seem to reproduce this with Adobe Reader installed. Does this also happen with Zotero 4? Does it work normally if you use a folder that isn't synced? @adomasven No, I did not have this problem with zot4. I checked on another computer (with the same db) and it works. So there is something wrong with my installation (any idea what could cause the problem?). No, I did not have this problem with zot4. I checked on another computer (with the same db) and it works. You should test with Zotero 4 on this computer to make sure it is not an upgrade to Zotero 5 problem (which I am not convinced it is). If you have a backup of your original data directory - use is to test. Otherwise just back up your existing data directory and move it out of the way, so Zotero can create a fresh one. Add some items and see if you get the same broken behaviour. Could you also take a screenshot of the stuck window for PDFs and for the Debug Output, post it online somewhere (like dropbox or imgur) and post a link here? You were right, it's not related to zot5. I installed a fresh zot4 db (only on local though, I did not link it to a zot account). I then created a new entry, I inserted the local link to a pdf, and I could not open it.